Ethan Ampadu could become one of the youngest players in Chelsea's history tonight - even though the club have yet to agree a compensation deal with Exeter City for him. 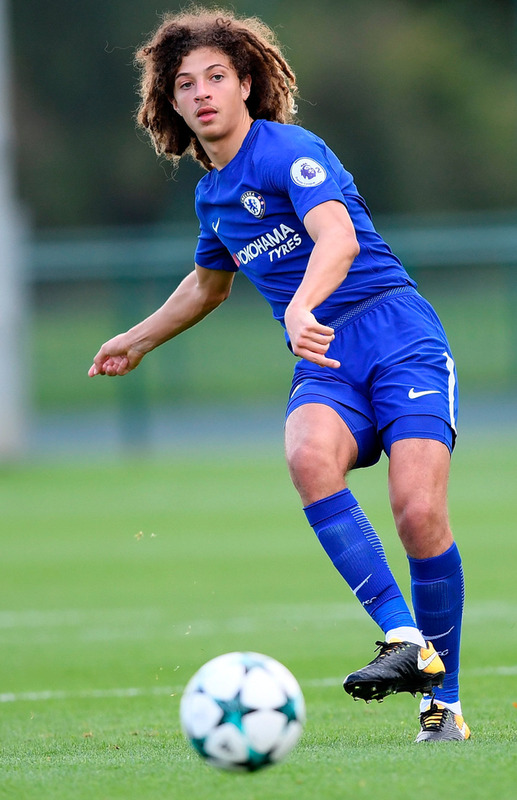 Chelsea head coach Antonio Conte confirmed that Ampadu, who turned 17 last week, was in his squad for the League Cup clash against Nottingham Forest at Stamford Bridge. Ampadu elected to join Chelsea in the summer, having made his first-team debut for League Two Exeter as a 15-year-old in the League Cup last August and played 13 times for the senior side. He turned down interest from Arsenal, even though his father Kwame, a former Ireland U-21 international, played for the Gunners after joining them from Belvedere and is currently head coach of their U-18s. But Chelsea have yet to agree a compensation package with Exeter, who have been asking £3m (€3.4m) for the youngster. The transfer fee is likely to be settled by a tribunal. Asked if Ampadu, who has been training with the first team and can play in midfield or defence, would be in his squad, Conte said: "Yes. He is a young player, but I think he has good quality. "He has good prospects to become a Chelsea player. He is strong physically, has good technique and personality. "Yes, I think we have to continue to work with him and to try to improve him, to bring him to the next step." Ampadu was included in Chris Coleman's Wales squad for the World Cup qualifiers with Austria and Moldova last month. But Conte is not concerned about too much pressure being put on him too soon. "I don't think that, if your national team calls you up and you are 15 or 16 years old, it puts pressure on you," he said. Amapadu is one of a number of young players who will be involved against Forest. Charly Musonda will start, while Jake Clarke-Salter and Dujon Sterling could also get a chance. But Conte has warned he will not be trying to do any of his youngsters a favour. "I don't care if one player is a young player or an old player. If a player, an old player, 36 years old, makes me happy and helps me to win, I pick him. It's the same if a player, a young player, 16 years old, helps me to win. I'm ready to do this also. "Don't forget my first appearance in Serie A was when I was 16. If the young players give me the possibility to win, I will pick them because I want to win. I don't want to lose." Brazilian winger Kenedy is set to make his first Chelsea appearance since being sent home from the club's pre-season tour of China and Singapore for a series of inappropriate social media posts, while Eden Hazard will start his first game following ankle surgery. Asked how Kenedy reacted to being sent home from the pre-season tour, Conte added: "I think he knows very well what happened in China. For sure, he made a mistake. But everyone in their life can make a mistake. Now he's focused, he's working very well."